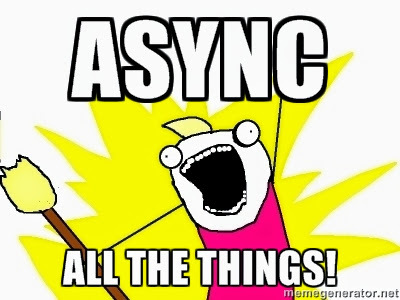 Nerd @ Work: [Salesforce / Apex] Queueable interfaces - Unleash the async power! 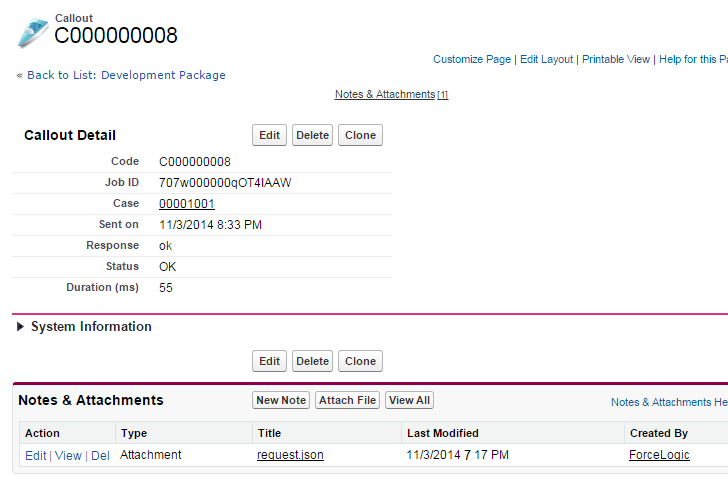 [Salesforce / Apex] Queueable interfaces - Unleash the async power! 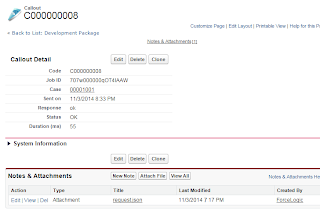 The next Winter '15 release came with the new Queueable interface. I wanted to go deep on this, and tried to apply its features to a real case. If you are (like me) in a TLDR; state of mind, click here. When you enqueue a new job you get a job id (that you can actually monitor)...you got it, like batch jobs or scheduled jobs! I wanted to show a pratical use case for this new feature. Imagine you have a business flow in which you have to send a callout whenever a Case is closed. Let's assume the callout will be a REST POST method that accepts a json body with all the non-null Case fields that are filled exactly when the Case is closed (the endpoint of the service will be a simple RequestBin). Using a future method we would pass the case ID to the job and so make a subsequent SOQL query: this is against the requirement to pass the fields we have in the case at the exact time of the update. This may seem an exageration, but with big Orgs and hundreds of future methods in execution (due to system overload) future methods can be triggered after minutes and so the ticket state can be different from when the future was actually triggered. The code iterates through the trigger cases and if they are created as "Closed" or the Status field changes to "Closed" a new job is enqueued and a Callout__c object is created. This way we always have evidence on the system that the callout has been fired. The Database.AllowsCallouts allow to send a callout in the job. // depending on current context JobID. // In case of failure, the job is queued again. Unfortunately if you try to enqueue another job after a callout is done you get the following error Maximum callout depth has been reached., this is apparently not documented, but it should be related by the fact that you can have only 2 jobs in the queue chain, so apparently if you queue the same job you get this error. This way the job would have tried to enqueue another equal job for future execution. Finally creates an Attachment object with the JSON request done: this way it can be expected, knowing the precise state of the Case object sent and can be re-submitted using a re-submission tool that uses the same code (Batch job?). The code and the related metadata is available on this GitHub repo.